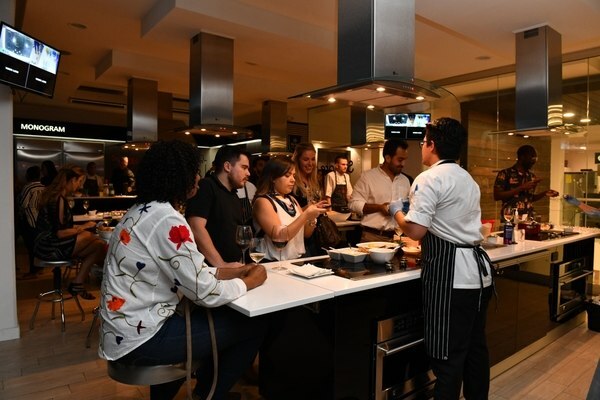 The residents of the Escazú area will have access to cooking courses in the building of Contemporary Technological Environments. Special guests and gastronomy bloggers were part of the inauguration. They saw the various stations of Gourmet Flavors. Whether one is looking to learn to cook the basics or a special dish or just get out of his everyday routine with an exciting class in a relaxed atmosphere with good music, there is something for everyone at this school. Mondays will cater to men and on Tuesdays the class will cater to groups of friends while on Wednesdays it’s for couples. Thursday through Saturday will be theme nights. Arrangements can also be made for birthday parties or company outings. Each night, specialized chefs offer a variety of dishes. Participants can follow the recommendations or use their creativity. Classes will have various prices and some will even be free. For more information, call 2545-5419.